Ahhhhhh the birds are chirping, the flowers are blooming and I smell jasmine in the air. ♩♬ ♪ The hiiiiiilllllsssss are aliiiiive with the sound of muuuusssiiiiiiccccc…. ♫ ♬ ♭ *sigh* *giggle*. No this song has nothing to do with the actual story (or the movie – LOL!!) but I just feel like singing it. And twirling like she does. I’ve apparently lost my mind ’cause my heart has taken over!! And ohhhhhh how I LOVE LOVE!!!! I just LOVE it!!!!!!! How I love this feeling of love. With big love in my heart, and big love for the characters, and this sweet/bittersweet story and all of it’s nuances. Yes. I have BIG love for this book. It was AWESOME. Just plain ol’ awesome. Thank you guys SO much for recommending it to me on release day. It was just what I wanted! Summer: Loving Mr. Daniels was so good!! Highly recommend to all!! Lori: I’m about halfway through and loving – total feels book! How could I resist that!?? Right? And I’m gonna say something that er… well… that some (maybe even many) might be delighted to hear, ’cause they, like me, LOVE to find books that fit perfectly in a “What to Read after Such and Such” list. And THIS is one of those!!! Okay you know how I L-O-V-E LOVED the book “Slammed”. It’s been one of my number one all-time favorite books since I read it. No worries!! It still is. No book will ever take the place of “Slammed” in my heart, ’cause it was the first book like THAT, that I had ever read. To me, it was PERFECT. That love story perfection that encompassed not just that potential sweeeeeet and angsty forbidden love romance, but the love of family and friends… and life. But ever since Slammed, I have been on a forbidden-love story quest for more like Slammed (and you know me, I love that student-teacher angle ’cause there’s that scary thrill that runs parallel to the sweet falling in love angle). So much potential to give us that much more *oomph* and realistic drama. And what I loved most about Slammed (and I’m gonna say it now, also THIS book), is that… it wasn’t just about the forbidden romance angle (and the torrid love affair details, and darkness, as I’ve read in some of ’em). It was about friends. Best friends. Family, and all of the details that made them real to me. And I’ve read plenty of student-teachers that have given me secret forbidden thrills, and made me cringe (sometimes in delight, sometimes in abashedness). But when it comes to a student-teacher love story like Slammed… for me, that gives me the whole shebang? Those have been few and far between. Mind you, I haven’t read all of ’em, so I might be missing out on another one, but last night? This morning? THIS!!!!!! This has been the one that has brought me all of those delicious “Slammed” feels. This was the one that made me tear up, over and over again (and for various reasons). Yes. I was that connected! This is the one that made me cry real tears. Twice. This is the one that made me swoon, and not once did I question the morality of the attraction (and my own personal connection to them), and the bond that these two characters forged in secret. I didn’t feel the need to chastise myself. I wasn’t conflicted. There was no war between my heart and my brain. But don’t, for one minute, think this one is boring. ‘Cause where it isn’t that er… “dangerous” (in terms of the forbidden love story), it still gives us that constant thrill, that need… that secret pining. Those unspoken subtle messages, so clear to each other, even in public, that only they can decipher. The looks. The inconspicuous touches. The assignments. And then sometimes, the full-on stolen kisses that will leave you with butterflies delightfully swarming your belly. It’s got that. Plus it’s got so much more “meat on it’s bones”. ‘Cause their surroundings (friends, and family) are just as alive as they are. I didn’t know what to say to Hailey because she was kind of weird. Not weird like me, but weird like her. I was convinced that everyone in the world had a form of weirdness to them. And the cool thing, at least I hoped so, was the idea that there was someone out there just as quirky as you were. The idea of finding your other weirdo was so attractive to me. I was still looking for that. Some, even in death. *sniffle* Oh my heart LOVES THIS BOOK!!! I slipped my hands into my pockets and stared up at the sky. It all seemed so simple. A bar with music that touched my soul. A boy who knew what it was like to lose a part of his joy. A light breeze that refreshed my entire being. … and then… OMG first day of school GASP!!!! Oh it is SO good. LOL!!! I just wanna quote everything, but I gotta let you live it for yourselves. Maryse’s Book Blog: Ahhhh I love the part when HE realizes she’s his student. I’ve read it before, but it gets me every time. Rebecca: I know what you mean. I always love that moment! Jade: Can’t wait to get your review of the book, Maryse. Tracie: I just finished and it was fantastic!! Excellent writing, poetic at times. Gah! So good. I feel high!! Heather: I loved that part in slammed. Can’t wait to read this one. Maryse’s Book Blog: Ohhhh em geeeee the butterflies. I have ’em and they feel so good! Tracey: Just got to that part now ….im hooked. Jaime: I just started this too. Loved their night at the bar before they knew! Jenn: *sigh* I just love him. Yafit: Loved him! Lots of butterflies. Great book! Angie: Finished this last…..Love it!!!! Madam: This high school, I assume? Yes it is Madam. But read it anyway. 😉 Read it if you like this kind of new adult romance. Read it even if you think you don’t. It’s just SO GOOD!!! I know we secretly (or openly) love reading books that make us so uncomfortable. Make us squirm and squig us out, and pull us out of our comfort zones. Making us question everything we we thought we knew about ourselves. We love thrillers. And while this one didn’t really pull me out of my comfort zone, it did keep me on the edge of my seat (or better yet, on the edge of my heart). It cradled me, coddled me, and taught me. It made me swoon. It made me laugh and it made me cry. And I couldn’t have asked or anything more. Sometimes a girl just needs a fully-loaded love story, but that comforts the entire way through. Plenty of angst and heartache, and lessons in life and love. But most of all, that feeling of togetherness, when all you thought you had was alone. It was in that moment right there that I knew I was in the right place. I was lost, but so were they. There were no maps to be found. At least I wasn’t walking alone. Oh. WOWWWWWWW!!!!!! Gosh there are so many moments like that, my friends. That one has me clutching my chest right now, again, in sweet loving angst of love which I love. <— LOL I make no sense right now. 😀 But just to remind you… not cheesy “soap-ish” angst, you know what I mean? That quote, right there? That’s a good idea of the feel of this gorgeous book. 5 stars of happiness!!! But we had to work through some pain to get there. LOVED IT! Did I mention that? Gosh!! I gotta read more like these… they read like a soul/heart/brain cleanser and life just seems so much brighter. P.S. Oh!!! I forgot to say… I would HIGHLY recommend this book as a perfect “What to Read After Slammed” if you’re dying for more like that. Sometimes, you’re just not ready to let go of a theme. Of a feeling, you know? Sometimes, when you read something you love as hard as you love Slammed, you need more. And THIS, in my opinion, will give it to you. P.P.S. Sure… sure… it’s not perfect (a few hitches here and there, some slight editing issues, and maybe a tad bit *quick* through the last quarter, and some things the other “guys” said didn’t feel so “guy-like”, and some a bit “over-the-top cliché” guy-like, you know… tiny details) but in the grand scheme of things? This sweet story and how it made me feel when I hit the end? *pffffffff* Not even worried about ’em. I agree with you. LOVED this book! I love me a good forbidden romance but haven’t had a great connection with many student/teacher books. This knocked them outta the park for me. And although I really like Slammed, this was SO much more for me. (ducking for cover from the Slammed fans out there who might now agree) I really connected to Daniel and Ashlyn. Their love of Shakespeare and how the author made it sexual? Hot! What really, really pulled me in and tugged at everything in my heart was related to the twin sister. I won’t say too much so I don’t spoil for anyone. So in case it wasn’t obvious, I LOVED THIS BOOK. Thank you Brittainey C. Cherry for writing this. I look forward to reading anything you write in the future! I knew you would love it!! It was so good! It’s definitely on my re-read list for when I can’t find anything just right. P.s. Where were these hot, sensitive, amazing, 22 year old teachers when I was in high school?? Right!?? LOL!!! *sigh* Mr. Daniels…. the ultimate teacher crush. Wow with that review, how can I not read it next!?!?!? I love when Maryse has that type of reaction to a book! Yay!!!! Ok, I need too read the long list of book you have recommended, Maryse. I keep clicking, then cannot make uo my mind. I did finally start Archer’s Voice, then I think Slammed. Stop being so spot on with you reviews! It’s bankrupting me! LOL Sharon!! I’m right there with you!! I can’t control myself, I’m just gorging and loving it! I stayed up until 4am reading Carnage by Lesley Jones…could not put it down and then continued after kids went to school until i was done. It was soooooo gooood!!!! This had a total Colleen Hoover feel to it (in a good way!) because she paid so much attention to the supporting characters! Do we know if there is any talk of more books with any supporting characters? Bought it yesterday and just finished it. Amazing and heartwarming! I love your review and I was thinking exactly the same thing about how similar it felt to Slammed. I also adored thay Gabrielle was such a huge part of the book and she had already passed before the start of the novel. We really felt like we knew her and so in turn we also felt the loss. 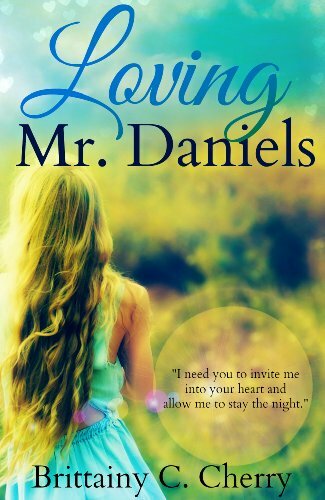 Ahhh Mr Daniels is a book boyfriend that I will always remember….. and having read so many romance books like yourself, that says a lot! Congrats to the author! If you like the forbidden teacher/student trope, you should try Unteachable by Raeder. It is pretty racy, but is so beautifully written that it somehow avoids being smutty.